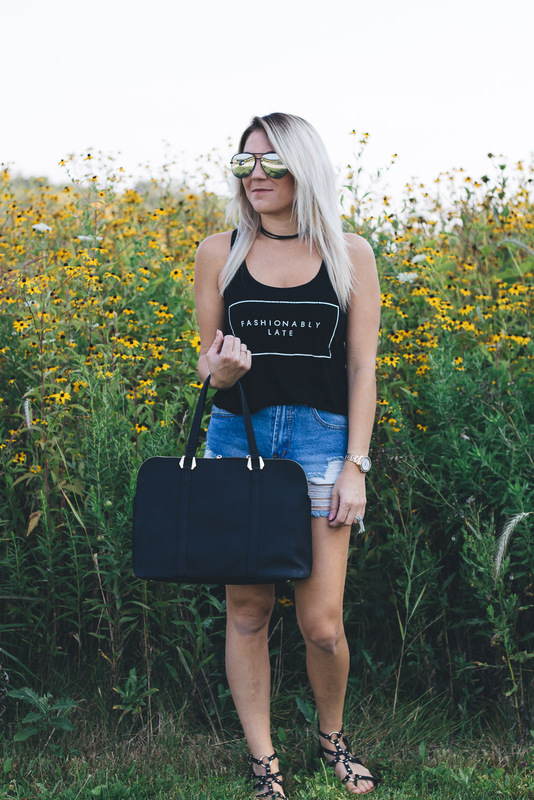 Tank, shorts, and sandals…screams summer, right? 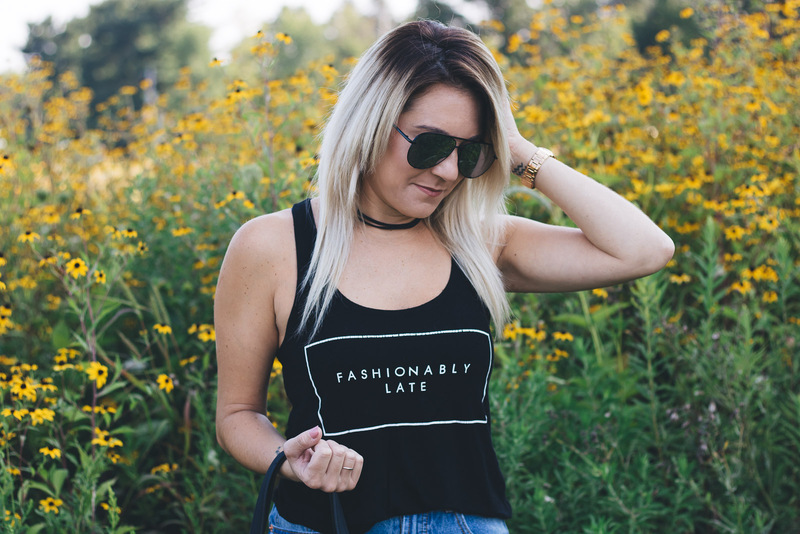 But as we transition into fall, we can throw on a cardigan and booties and make it totally appropriate for the chilly weather. If it gets warmer as the day goes on, you can always take off the cardigan and vice versa. Plus I’m pretty sure I’m just going to be living in this cardigan anyways because it’s amazingly comfortable. I’ve done the research for you and found some of the best and most comfortable looking cardigans for the fall. The one I’m wearing above is linked too 🙂 And best part? They’re all under $50! WOO!! Happy shopping! I love wearing cardigans during the colder months! I especially love the one you’re wearing! It looks so cozy! I’m such a cardigan girl when it comes to fashion. There’s something about them, that makes it so comfortable to wear. Especially in the fall. 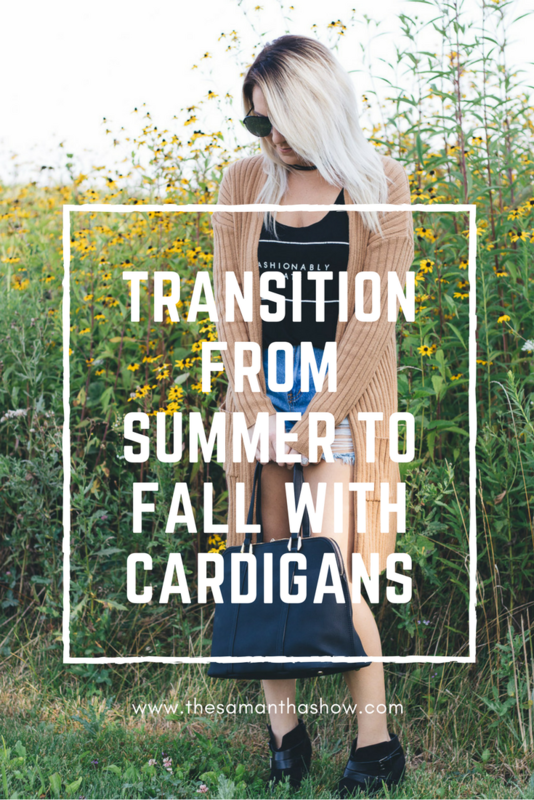 I love love love cardigans and really need to update my closet–I have some from ages ago! Ahh I’m so excited to start adding more cardigans to my closet! I’m loving the longer ones this year so thanks for giving me some starting options! Cardigans are my JAM! Love them with anything! This is so where I’m at weatherwise right now, it’s super nice during the middle of the day but getting chilly in the mornings, and downright cold at night already! I love a good cardigan, but it can’t be too short or too long since I’m super petite. Love the shade of the one you’re wearing! 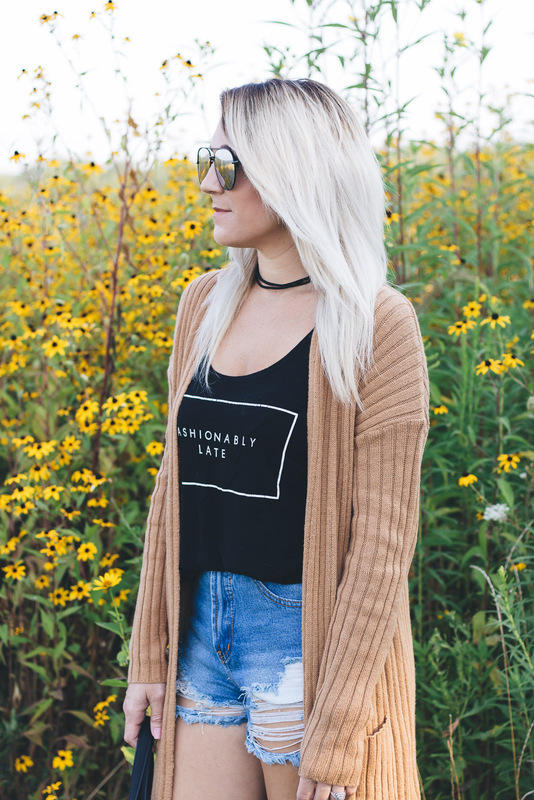 Love those sunnies and you can’t go wrong with oversized cardigans! Yes! Cardigans are my favorite! I’ll miss the long days, but am ready for the cool nights. 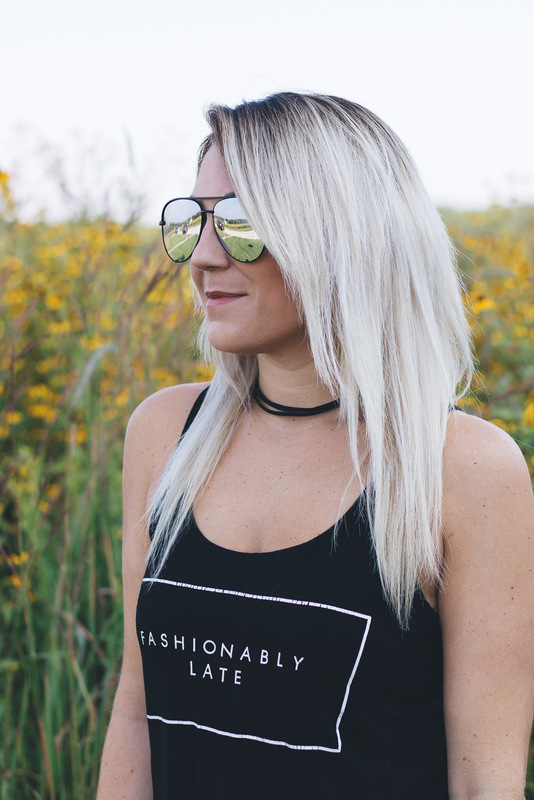 I’m seriously obsessed with this look and how easily you transitioned it from a summer to fall look! That cardigan is SO CUTE! !